Keep all the fitness gains you made this winter by incorporating a structured Indoor Cycling Class. 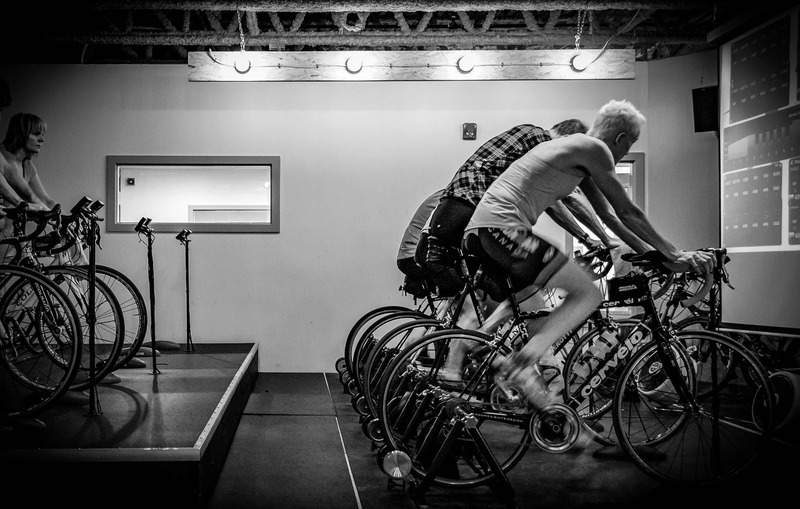 HIIT style Power workouts performed in our Computrainer Studio with TCR Cycling Coaches. Perfect for busy people who are short on time or those wanting a productive workout. 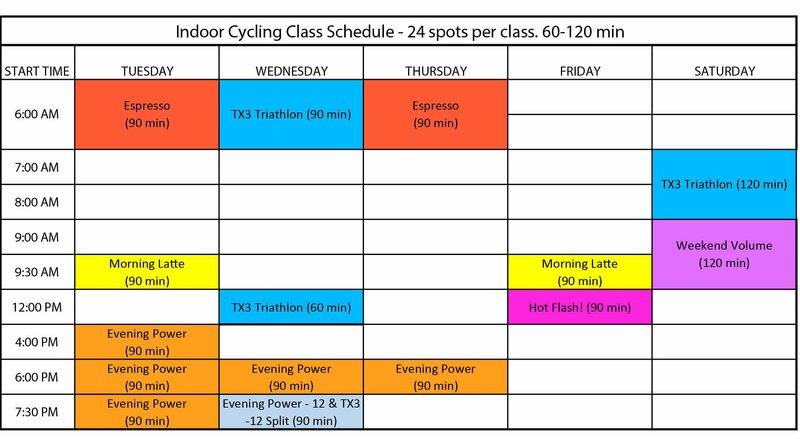 Below is the 2018 indoor cycling schedule. If you have any questions please do not hesitate to call us. Balance due first week of classes. In the event of a missed class, participants are allowed to show up to a class other than one they are registered for ONLY if at least 24hr advance notice of missing their class is given. When making up for a missed class, space is allotted on a first-come-first-served basis, and is never guaranteed. Make ups can only be redeemed within the time-frame of the program block in which the class was missed. Once the class has finished, missed classes do not have a cash value nor can be transferred to the next season. Indoor Cycling deposits are refundable up to October 15, 2 weeks prior to the start of the program. After October 15, your deposit is no longer refundable. The balance of payment is due upon the commencement of the program. No refunds (balance of payment or deposits) are provided once the program has started. For every person you refer for TCR Cycling Classes, you receive 3 FREE altitude classes.